Recently I read in the Giornale D’Umbria that the University of Perugia is facing a shortfall of Five Million Euros for the year and plans to sell off some of its real estate to cover the deficit. Critics say it's like selling your house to eat or burning the furniture to stay warm. For a large university such as Perugia, €5 million doesn’t seem like an enormous amount. Surely, there has to be a better solution than selling off assets. I’ve been watching an unhealthy amount of American football this year, both college and pro games. Professional sports in Italy are similar to those in the United States. While American football is a different game from football (calcio) in Italy, the successful teams in both countries mostly play in the biggest cities in front of rowdy, drunken louts with painted faces in moderately large stadiums, and the teams and the players all make obscene amounts of money. I won’t deal here with the differences between the two versions of football. The US version has been played in Italy for decades with little success and I don’t see that changing. There just aren’t enough 300 pound (136 kg.) Italians, and while the numbers are growing, most of the growth is among middle aged women in small villages. The American game is very specialized and requires discipline and planning, qualities quite different from the pure athleticism and acting skills favored in Italy. Although the professional games have similarities, Italy has absolutely nothing reminiscent of American college football. While the pros play in front of sixty or seventy thousand dedicated fans in New York or Houston, college teams regularly sell out their 100,000 seat stadiums in places like Ann Arbor, Gainesville, State College, Tuscaloosa, and Columbus throughout the fall season. There’s big money in college football, at least for the coaches and the universities. Urban Meyer, citing the stress of the game as a threat to his health, recently announced his resignation as head coach of the University of Florida team. After ruminating for five days on the fact that he still had six years and $24,000,000 left on his contract, and perhaps after consultation with his wife, he retracted his resignation in favor of a leave of absence of unspecified duration. The players don’t share the cash, but they do get full scholarships, which these days translate into real money in the US. Any effort to bring money-making college sports to Italy would be hampered by the fact that tuition is so low that scholarships wouldn’t have much pull. There are other perks for players in the US. 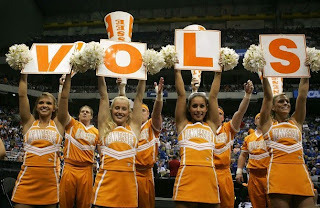 The University of Tennessee is now under investigation by the NCAA for alleged recruiting irregularities involving attractive coeds attending the high school games of college prospects and attempting to lure them to their school. Tennessee is not the first or only university to use attractive young women as bait. The most sought after job in Italy is that of the “veline”, i.e. the sensuous and perfectly formed young women who adorn every quiz and variety show on Italian television. There are thousands and thousands of well-qualified applicants. Only a few make it on television, but all that unused talent could form a solid basis for the legions of recruiters needed for a new intercollegiate Italian sports program. Successful footballers become some of the wealthiest people in the country and some even go on to politics, so exposing the future leaders and owners of Italy to a university for a few years might have benefits beyond the obvious financial rewards. Despite Italian backwardness in college athletics, we’re ahead of the curve here in some respects. 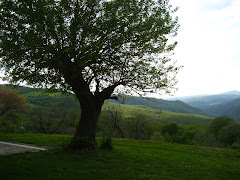 In my youth, college was a four-year deal and upon graduation your connection with the school was abruptly terminated, at least until the alumni association started to come to you for money. In graduate school we couldn’t even get student tickets to games, much less play on those teams. Times have changed, as American universities have moved to a more Italianate approach. This season, every third player is referred to as a “true freshman” or a “red shirt freshman”, and in a few strange cases, players have graduated the year before but returned to play their final year of eligibility. Athletic eligibility is still limited to four years but those years can be spread over as many years as the coaching staff wants. In Italy about 90% of students are red-shirted, and they don’t even play sports. I believe there’s a ten-year limit for a four-year degree. Just imagine the financial rewards for the educational system of signing up adolescent Peles and Maradonas to commit to playing four years for their university of choice.